“No, I told them, I’ve been around a long time,” he said. “What I loved about this group is they didn’t care. They never looked for an excuse, they never … you know, guys didn’t play. Blake went out, CP (Paul) went out. I mean, they never doubted it. They believed they could do it. 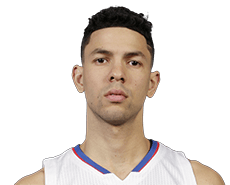 – Austin Rivers showed about as much heart as a player can show in this loss that eliminated the Clippers from the playoffs, Portland winning the first-round series 4-2. Rivers had his left eye nearly destroyed by an errant elbow from Portland’s Al-Farouq Aminu with 6:46 left in the first quarter. Rivers was a bloody mess. At that point, Rivers had five points. He took 11 stitches, came back at 5:03 of the second quarter and finished with 21 points, six rebounds and eight assists. 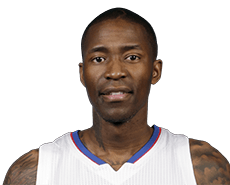 – Sixth-man Jamal Crawford scored a game-high 32 points. But he shot just 1 of 9 in the fourth quarter to finish 10 of 25 from the field. Considering he played 38 1/2 minutes, it was still a gutty performance by the 36-year-old Crawford. – As a team, the Clippers were a tough group. Keep in mind that both Chris Paul and Blake Griffin – their two best players – were not on the floor for the second consecutive game. Paul fractured the third metacarpal in his right hand in Game 4 at Portland and Griffin’s partially torn quad tendon began acting up in the same game. 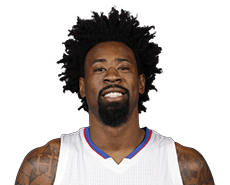 – DeAndre Jordan pulled down 20 rebounds. He is the first player to have at least 15 rebounds in five consecutive playoff games since San Antonio’s Tim Duncan did it in 2008 against the Lakers in the Western Conference finals. Jordan had 18, 16, 15, 17 and 20 rebounds over the last five games of the six-game series. – What this loss means is that the Clippers will go another season without advancing to the conference finals for the first time in franchise history. That dates back to the 1970-71 season when the team was the Buffalo Braves. Amid the injuries that have taken Chris Paul and Blake Griffin out of the L.A. Clippers’ first-round playoff series with the Portland Trail Blazers, has been the rebounding prowess of Clippers center DeAndre Jordan. Jordan on Friday entered Game 6 at Moda Center in Portland with a chance to become the first player since 2008 to grab at least 15 rebounds in five consecutive playoff games. San Antonio’s Tim Duncan did it when he pulled down 18, 16, 21, 17 and 15 in the Spurs’ 4-1 Western Conference finals series loss to the Lakers in ’08. Jordan had 12 rebounds in Game 1 of this series. He since has had 18, 16, 15 and 17. Coach Doc Rivers has been impressed. Jordan was the league’s leading rebounder in the playoffs with a 15.6 average.